Sometimes you bike for the sake of it. There is no destination, no purpose beyond the enjoyment of just riding. I believe that was the case with this bicyclist. I noticed him twice while doing my rounds of shooting along Queen and College streets. He was riding in circles, likely extending his commute on a day where it felt like summer in April. 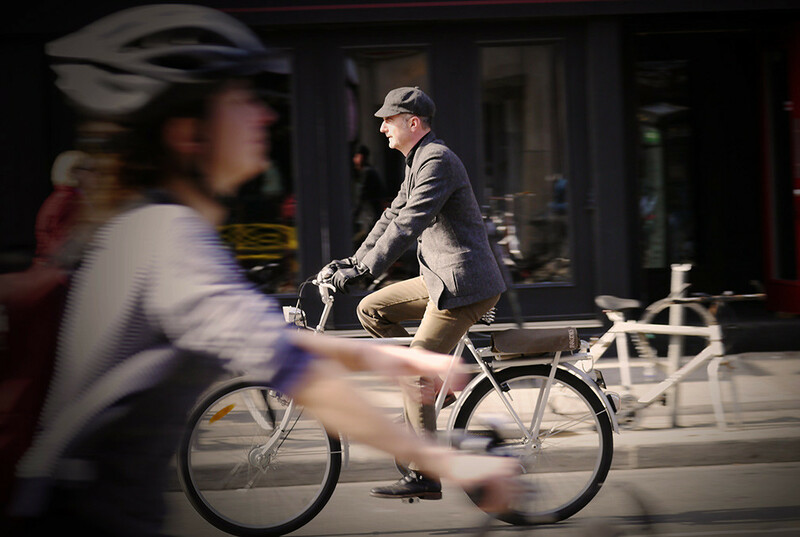 Outfitted with a classic style reminiscent of a tweed run, this rush hour trek was indeed a pleasure ride.